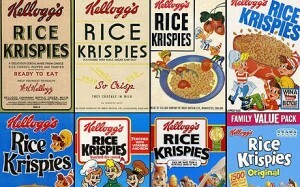 Blog Kellogg’s Cereal Sales Aren’t Gr-r-reat! All is not well in the land of Rice Krispies and Frosted Flakes. Kellogg Co. has just announced yet another quarterly drop for its cereal business, as well as plans to initiate a seven percent cut in its workforce (roughly 2,000 jobs) by 2017. Yup, cereal sales at Kellogg aren’t Gr-r-reat! It’s shaping up to be a tough decade for sugary breakfast cereals, which had long been seen as a permanent staple of the American diet (over 90% of U.S. households are still buying it, after all). But new competitors have appeared on the horizon, mostly in the form of healthier alternatives like granola bars and Greek yogurt, and cereal sales have declined for three straight years. There’s also the cold hard fact that families in the U.S. market have yet to bring their spending back to pre-recession levels. Families have less money to spend at the grocery store, and many of them are using their scarce dollars to buy more nutritious food. Chief rival General Mills has found some success by adopting healthier ingredients and putting more weight behind its Yoplait yogurt brand, but Kellogg has no such equivalent. 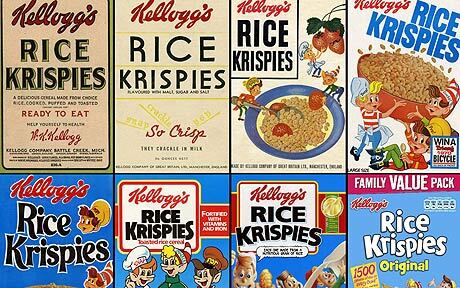 Instead, Kellogg will roll out a three-year cost cutting plan with the inappropriately jazzy title “Project K.” Executives anticipate the plan will save them roughly $1.3 billion by 2017. Its really mind blowing.. Thanks again. very nice, post is very nice. very nice . Thanks for posting and sharing this.